What Has Exercise Science Contributed to Concurrent Strength and Conditioning? Editor’s Note: We are pleased to present this guest post by John Weatherly. People have different needs and goals for exercise programs. Many may want to get stronger or more powerful, have more endurance, and look as well as feel better. Similarly, most athletes require a combination of strength, power, and endurance that helps improve performance in their sport. There are extremes at the ends of a continuum such as a competitive lifter whose goal is to improve one rep max strength (1RM) and the marathoner on the opposite end from the competitive lifter. But, most individuals are between these extremes. This necessitates combined or concurrent training for strength or power and endurance. How compatible is training for strength/power and endurance at the same time? This is an important question because most people need to train both to some extent. 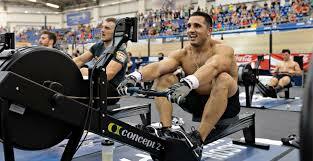 Former CrossFit Games champion Jason Khalipa has rowed 21,097 meters in 1:18:02 and clean and jerked 355 pounds. Dr. William Kraemer gave a presentation on this topic at the 2012 NSCA National Conference, entitled Compatibility of Training Programs: Problems and Solutions. Before examining Dr. Kraemer’s presentation remember that a motor unit (MU) is a motor nerve and the muscle fibers it innervates. Type II motor units (MU) are fast-twitch while Type I are slow-twitch. The average person will have a fairly even mix of these while a world-class sprinter will likely be blessed with much more Type II MU. Similarly, a world-class endurance athlete would be endowed with more Type I MU. Type II MU are suited to speed, power, strength, and size. Type I MU are associated with oxidative functions or endurance. So, what about training for both strength/power and endurance at the same time? That’s what Dr. Kraemer’s presentation is about. I encourage you to watch the entire presentation but I’ve listed time points that correspond to sections that are focused on. I want to emphasize many of the studies Dr. Kraemer talks about in his presentation were NOT published by the NSCA but in other journals. It’s important to realize this area of concurrent training or training compatibility as Dr. Kraemer’s presentation is titled has only been studied for the last thirty-five years or so. The first study Dr. Kraemer mentions is the work of Hickson in 1980. The Hickson study used untrained subjects who lifted three days a week and did distance running on the other three days with one day of rest. At the seven week point, there was a strength plateau and then decrease. Maximal oxygen consumption increased. So, the resistance training did not bother endurance (6:58). In 1985 Dudley et al. did a study that used three days of intense cycling intervals (5 x 5 minutes hitting peak oxygen consumption during each) and isokinetic training using 2 sets of 30 reps on alternate days. At high velocity power there was no difference. So, perhaps the design of the training program influenced high velocity adaptations in a negative way (8:50). By the mid 1980’s from a few studies such as Dudley et al., it was known that high velocity power and strength may be compromised by endurance training. The opposite was not true. Strength or power training enhanced endurance performance. In the late 1980’s Hickson did a study where he added strength training to elite 5 and 10K runners. He put them on heavy 5RM strength training using exercises such as squats. It improved their hill running and sprint capabilities racing. There was no change in hypertrophy (muscle size) in these runners (12:44). Dr. Kraemer states in the early 1990’s studies were performed that examined the combination of aerobic training and resistance training but made the mistake of using isokinetic testing even though the training wasn’t on isokinetic equipment. It seems somewhat amusing that Dr. Kraemer draws attention to these poorly done studies by exercise scientists (16:19). Nelson et al. published a study in 1990 that looked at the effects of concurrently training for strength and endurance on muscle fiber characteristics (15:32). Dr. Kraemer emphasizes that cycling, which doesn’t involve the eccentric stress and pounding of running, may not result in the attenuation of strength that has been observed with strength training and distance running programs on alternate days (17:18). Does cycling interfere with strength less than running? Also in 1990, Sale et al. examined alternate or same day concurrent resistance and aerobic training. They used light weights (15-20 reps) which basically stresses the same MU as the endurance training. This group of researchers saw better results with the concurrent training performed on the same day (17:45). Dr. Kraemer becomes somewhat animated talking about studies on training compatibility with a dramatic voice inflection about study design saying: “What are you putting together?” He sounds agitated with the training program design in some of these studies put together by exercise scientists (18:37). McCarthy et al. in the mid 90’s did sets of six reps for resistance training combined with aerobic training at 70% of heart rate reserve on the same day with untrained subjects and did not observe any training incompatibility (18:57). Dr. Kraemer mentions this was one of the first studies to bring reason to the training program! Once again, this seems to indicate Dr. Kraemer thinks quite a few of these studies were poorly done. At 20:55, Dr. Kraemer mentions work Dr. Andrew Fry did many years ago. I remember speaking with Dr. Fry on the phone about the study he did on football players at the U of Memphis (a rare study on college athletes). Players were getting stronger, more powerful and agile until the football coaches interfered adding conditioning sessions that Fry described as “sprint until you puke” types of drills before spring football practice (43:05). The players became slower and weaker from the football coaches invading the strength and conditioning program. Dr. Kraemer, in talking about the Fry study on football players, just says the football coaches wrecked the program. 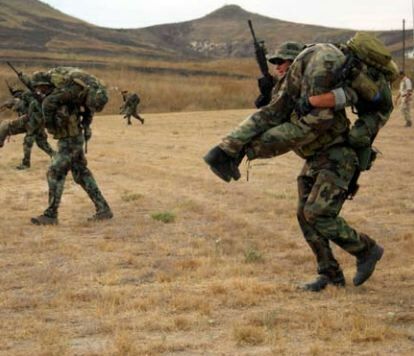 Military service members need to develop both strength and endurance concurrently. Dr. Kraemer mentions an “ideal study” he did with the military that included four days of training a week. Two days were short rest supersets for resistance training while the other two days were heavy lifting and intense interval runs. Rest days were Wednesday, Saturday, and Sunday. The study was ideal in that subjects were trained and all they did was eat, train, and rest. Only the group that did just strength training (no intervals) increased lower and upper body power. Additionally, the group doing the interval training did not improve oxygen consumption. So, even with metabolic conditioning, this seems to indicate those who are already highly trained will not improve maximal oxygen consumption (22:06). Muscle fiber transitions are mentioned (26:14) and there’s a slide of Dr. Kraemer’s showing fiber size adaptations for endurance training, strength training, and combination training (27:06). Dr. Kraemer talks about MU and athletes (30:45) and mentions hard data is hard to come by because study designs don’t address this (34:09). An exercise antagonism slide is shown that emphasizes the need for periodization, reduced volumes, and rest (43:05). From Dr. Kraemer’s presentation we can infer concurrent training has been studied for only the last thirty-five years. Additionally, many studies were on untrained subjects, not long-term (most 12 weeks or less in duration), and according to Dr. Kraemer limited by poor training program design (18:37) and a lack of hard data (34:09). It’s obvious a lot of work needs to be done in this area. So, what has the NSCA actually published on this topic since Dr. Kraemer’s presentation to add to this limited body of knowledge on concurrent training? Using a criteria that a study had to be at least six weeks long to include, I counted sixteen concurrent strength and endurance training studies published in JSCR since Kraemer’s presentation in 2012. One of these is the meta-analysis of Wilson et al. (2012) that Dr. Kraemer mentions in his presentation. This Wilson et al. meta-analysis basically concluded resistance training combined with running (but not so much with cycling) tended to reduce strength and hypertrophy. The interference of endurance with strength and hypertrophy are related to the modality, frequency, and duration of the endurance training utilized according to Wilson et al. (2012). NSCA published close to twice as many studies on supplements and sports drinks as they have on concurrent training programs from 2012-2015. In the same time frame since Dr. Kraemer’s presentation in 2012 on training compatibility, I counted a total of twenty-eight studies the NSCA has published in JSCR on supplements and sports drinks. Thus, the NSCA published close to twice as many studies on supplements and sports drinks as they have on concurrent training programs from 2012-2015. One has to wonder if this is related to NSCA sponsors such as Gatorade, MusclePharm, and Bodybuilding.com. 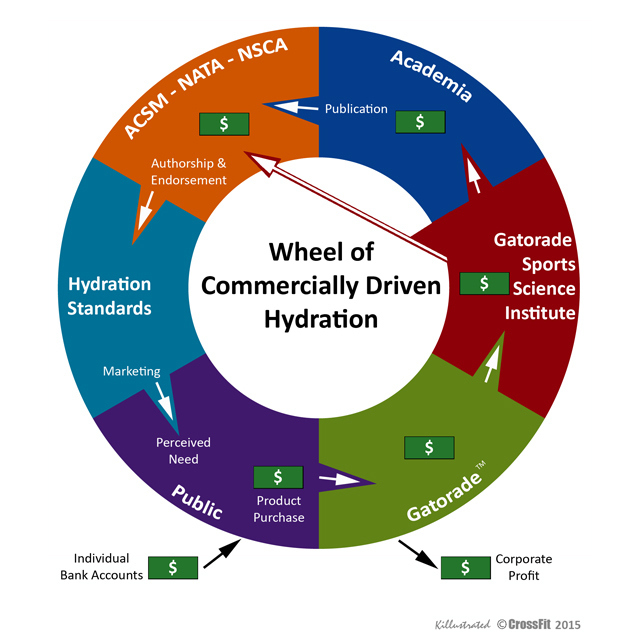 These companies and others in the supplement industry that sponsor the NSCA may be exerting their influence to publish studies on supplements and sports drinks instead of exercise programs and sports performance. 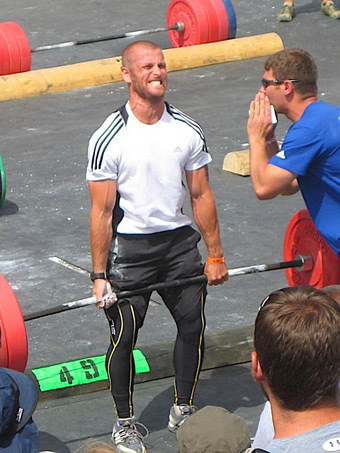 At the 2009 CrossFit Games, Mikko Salo finished second in a long-distance run and then reached 495-lb. in the deadlift ladder. Anybody remotely familiar with CrossFit knows the great variety of WODs. These obviously aren’t just combining running and resistance training or cycling and resistance training. For example, the benchmark workout Fran is thrusters and pullups. A workout the next day could be 800 meter runs and lifting a 125 lb medicine ball up and over for 10 reps and several rounds. The following day could be working up to a 1RM clean or front squat and on and on. This real world of CrossFit doesn’t align with the limited academic work the NSCA has published on concurrent training. 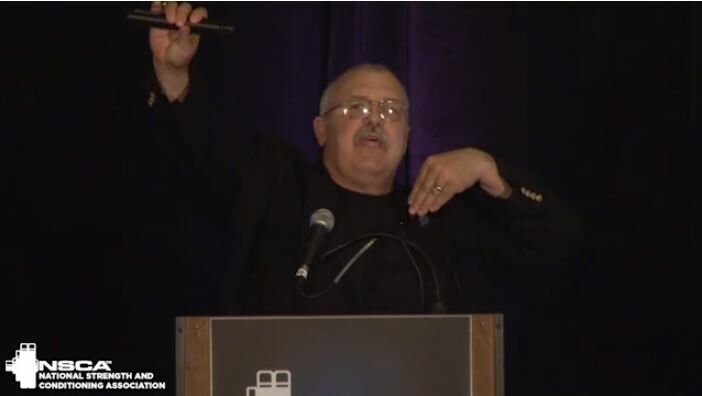 One must wonder why the NSCA is publishing so many studies on supplements and sports drinks when Dr. Kraemer himself pointed out study design flaws (18:37) and said hard data on concurrent training was hard to come by (34:09). Instead of doing studies comparing CrossFit with other concurrent training programs or studying the major American sports of football, basketball, and baseball – the NSCA spends more time and effort publishing studies on supplements and sports drinks. Wilson, JM et al. Concurrent training: a meta-analysis examining interference of aerobic and resistance exercises. J. Strength Cond. Res (26) (8): 2293-307, 2012. About the Author: John T. Weatherly has undergraduate and graduate degrees in exercise science. 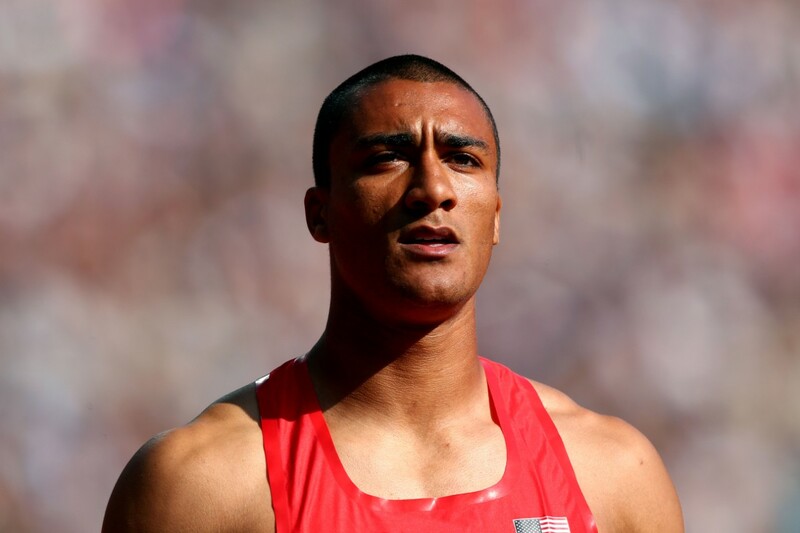 He was a research assistant to the former Head of Sports Physiology for the US Olympic Committee (USOC) and has helped with conditioning programs for athletes in Olympic sports as well as professional baseball, college football and an NBA player. In the 90’s, John published and reviewed articles for the NSCA and was an NSCA media contact on the sport of baseball. He helped initiate the first study on a rotary inertia exercise device at the University of Southern California (USC) and has consulted with the exercise industry on various topics, including vibration. You pointed out some valid points. I have a background in sports science and I am well aware of the concurrent training effect as I have been head of strength and conditioning at a high school writing numerous programs for different sports for 2 years. What I have struggled to come to terms with are CrossFit athletes and their training plans/schedules. These guys are going against what the literature says (In terms of concurrent training & the interference effect), however, you can’t help but wonder whether the literature is lacking- as you mentioned, as CrossFit athletes are jacked and can do most things. Has there been any new research on CrossFit and the concurrent methods they use? Its an interesting topic as CrossFit has seriously challenged the norm. Yes, some very preliminary research on CrossFit has been published, as you can find if you search on Pubmed and PMC for CrossFit. You may also want to look up research on HIFT / high intensity functional training. 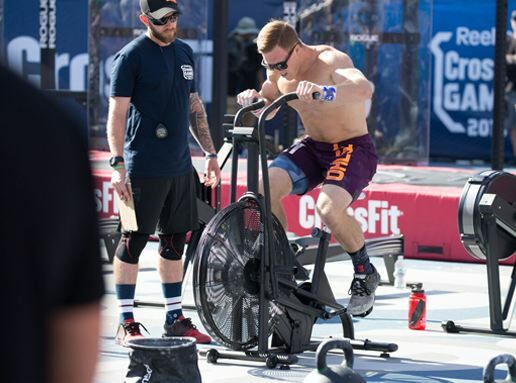 Not as much has been published on competitive, high level CrossFit athletes, though, which makes sense since there are relatively few of them.